What is the cost of fishing in Scotland? Summer Holiday in Scotland – 2017 so far….. 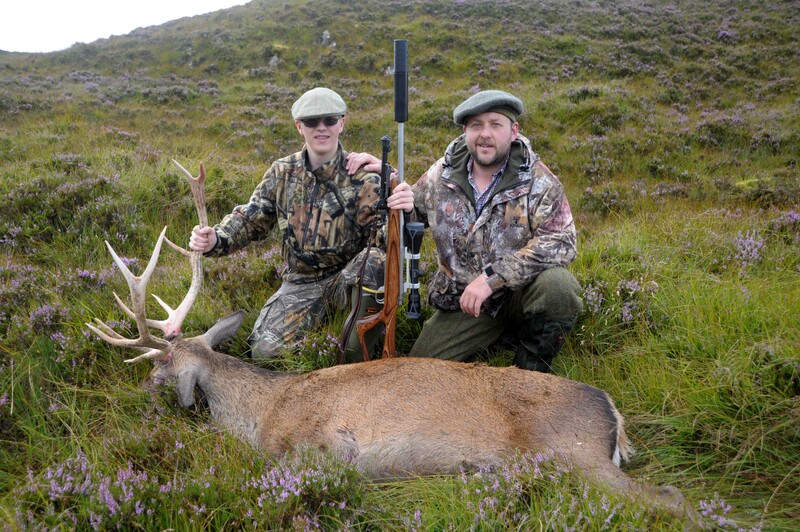 If you’ve ever dreamt of big game hunting in Scotland, then now is the time to get in touch. For the last few years government mandated deer quotas have been artificially high with the result being that this year the quotas have been quite drastically reduced. Due to these limits all forms of stalking will be in high demand this year and most other operators will tell you that they are already fully booked. River & Green have access to a unique network of estates and contacts that other operators cannot match so if big game hunting in Scotland is on your 2019 to do list, we would recommend getting in touch today as availability is going fast. Follow this link to send us an enquiry. 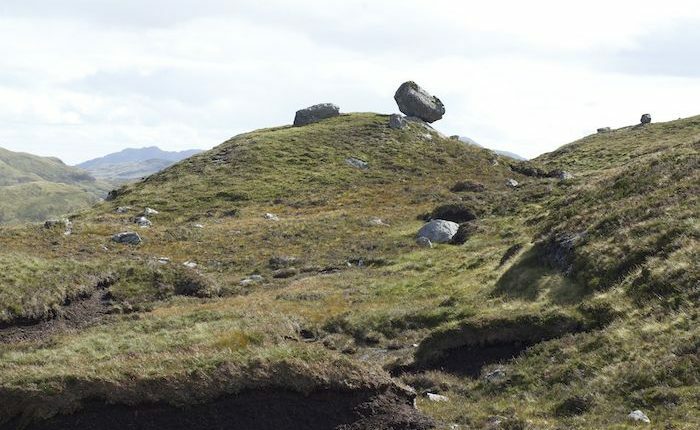 There are many destinations for hunting but there is nowhere quite as unique as Scotland. From the purple heater covered-hills, to the majestic mountains and glens, to the magical deep-water lochs, Scotland has scenery to rival anywhere in the world. 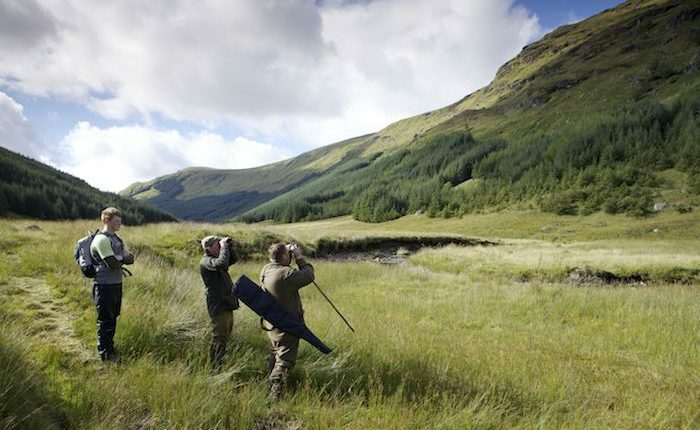 As well as the scenery, Scotland’s history and culture are world-famous and are vital parts of the hunting experience. 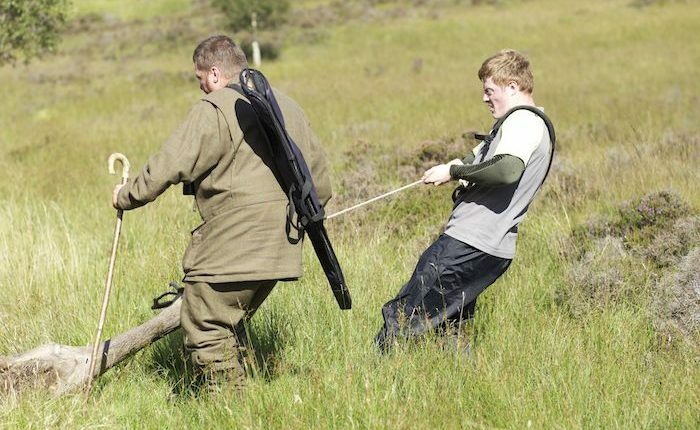 History and culture suffuse every aspect of a Scottish big game hunting trip. 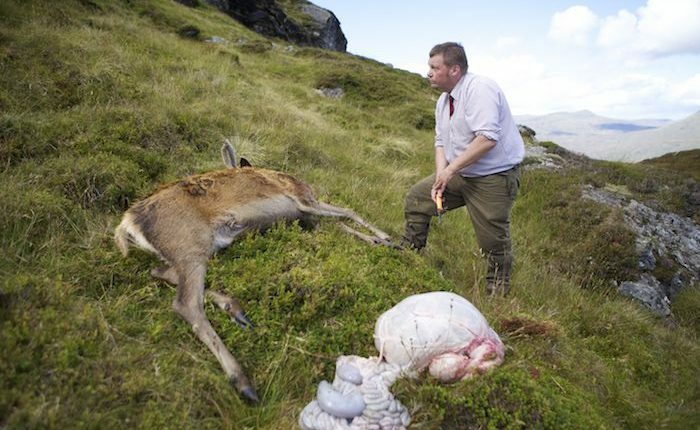 Where else could you see an expert deer stalker, dressed head to toe in clan tweeds, giving a toast on the hill to the fallen deer (in Gaelic) with a whisky distilled at the foot of the very same hill? 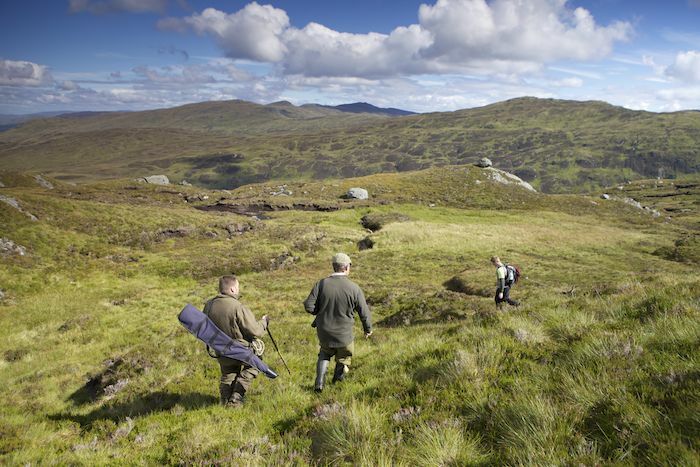 The combination of Scotland’s breath-taking views, it’s rich clan history, it’s traditional culture and the exciting hunting opportunities are the perfect building blocks for an unforgettable big game hunting trip. Each of these deer provide a different hunting experience in terms of terrain, location and structure of the day. Very roughly, the main deer stalking season is from a 01st July – 20th October (though fallow buck are not in season until 01st August). 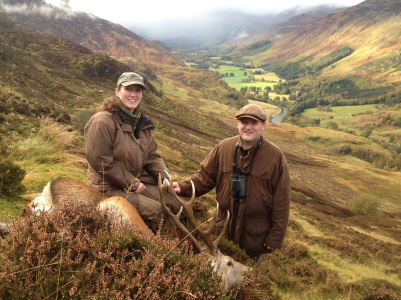 Probably the pinnacle of big game hunting in Scotland is the red deer, also known as “The Monarch of the Glen”. 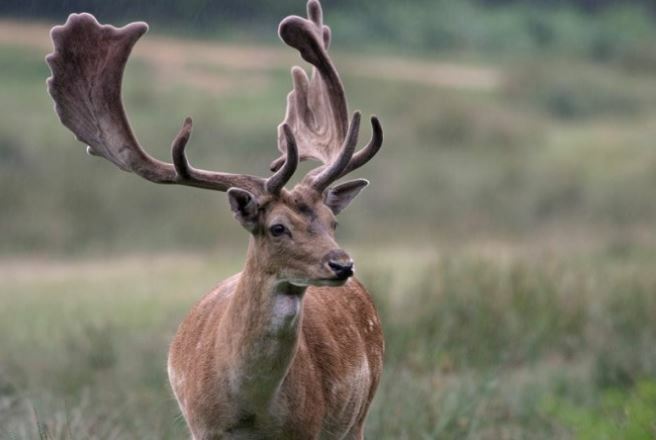 Scotland’s largest deer, the stags have large, branching antlers, which increase in size as they get older. During the ‘rut’ males bellow to proclaim their territory and will fight over the females, this is probably the best time to stalk red deer and usually lands in early to mid-October. A stalk lasts a whole day, usually starting at around 09:00 and lasting until well into the evening. As far as big game hunting goes, it’s probably one of the most physically challenging formats as it not only includes many hours of steady uphill walking but also incorporates lots of crawling to stay out of sight of the deer. 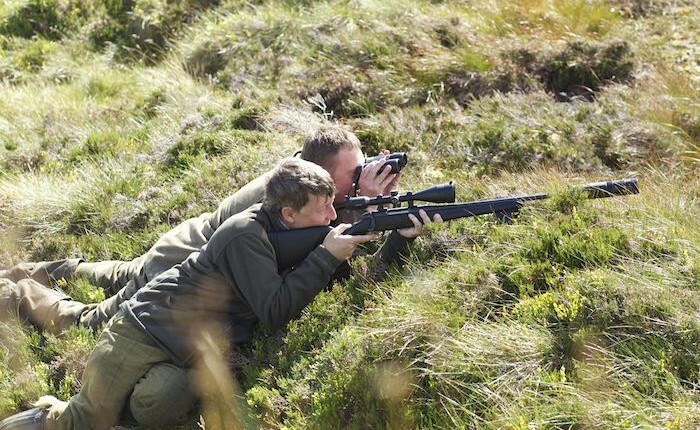 The pay off for the exercise is that it is probably the most memorable of all hunting experiences in Scotland and the one that every big game hunter needs to experience at least one in their lifetime. The Fallow Deer is a beautiful deer with a spotted coat which can vary in colour, but is mostly pale gingery-brown, with white spots on the back, a black and white tail and a white rump patch outlined in black. Males (fallow bucks) have broad, palmate antlers. Unlike red deer fallow deer are not thought to be native to the UK and were probably brought to the UK by the Normans during their conquest. Geographically fallow deer are quite limited in Scotland with our 2 stalking areas both being in Perthshire, one near Aberfeldy and the other near Dunkeld (only 1 hour 20 minutes from Edinburgh city centre!). 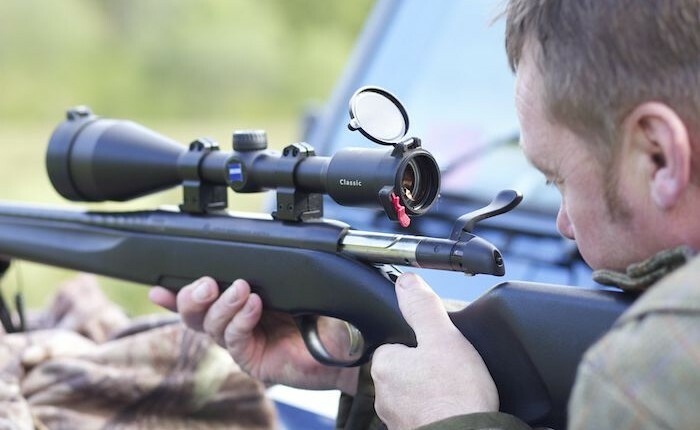 The season starts on 01st August and although it technically runs until 30th April, all stalking generally finishes in line with the red deer and sika seasons on 20th October. 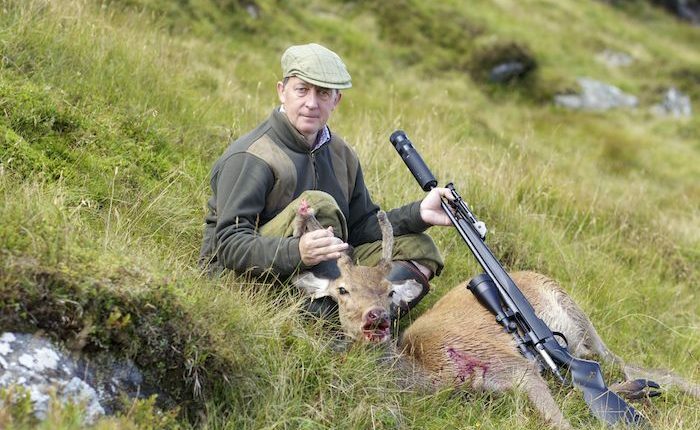 A fallow buck stalk is not quite as physically demanding as a red deer stalk as there is not quite so much hill walking involved due to the fallow buck preferring to reside in wooded areas rather than hillside. The stalking varies in terms of the day’s schedule with between our 2 estates and depending on the time of year, sometimes is it a 09:00 – 17:00 stalk similar to a red deer stalk, but more often it takes the form of separate morning and evening stalks (about 3 – hours each) as the sun rises and sets. Fallow buck are a challenging hunt in beautiful and tranquil woodland with the odd foray onto arable farm land and also into the hills all depending on the prevailing weather and disposition of the deer. Sika, like fallow buck are a non-native species in the UK having been introduced to Britain from Asia in the 19th century. 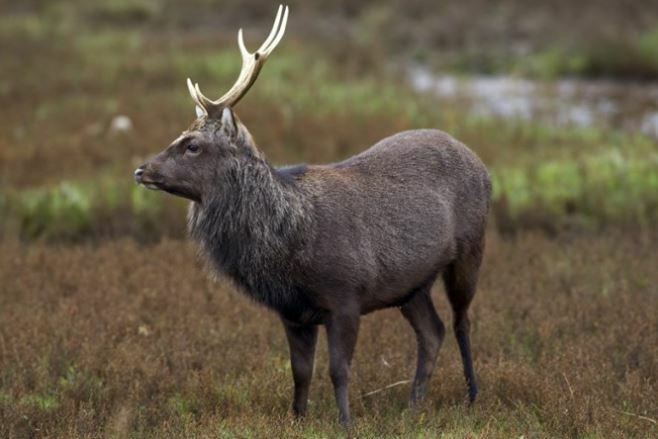 Sika are similar in size and coat to Fallow deer, but much darker in colour. They are red / brown to yellow /brown with a dark dorsal stripe surrounded by white spots in the summer. During winter, they are dark grey to black and the spots become almost invisible. Sika offer a unique big game hunting experience in that they are a secretive animal who will hide at the first sing of danger. Sika live generally in densely wooded areas and therefore are an exciting and difficult quarry. Similar to most fallow buck hunts, sika stag stalking happens as separate morning and evening stalks (about 3 – hours each) as the sun rises and sets. 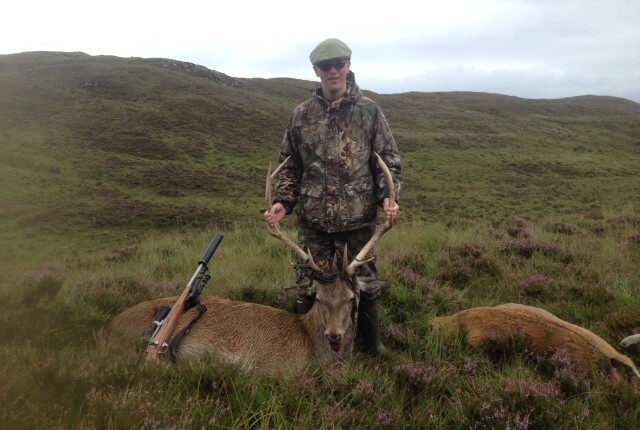 Also like fallow deer, sika are geographically limited with River & Green’s main hunting area being around 1 hour 15 minutes south west of Edinburgh near the town of Peebles. 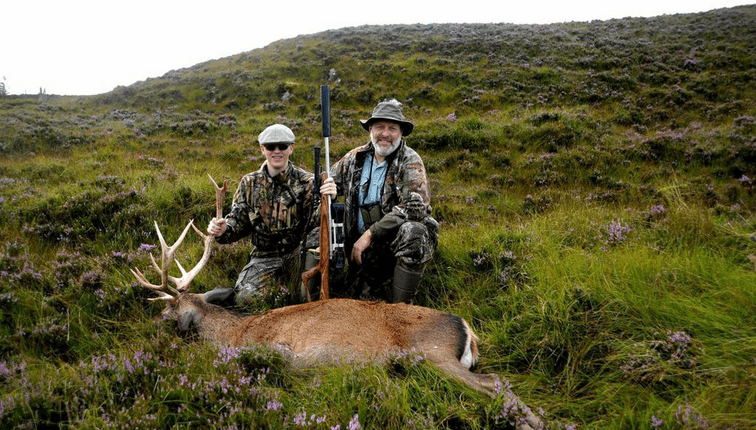 Whatever form of big game hunting in Scotland you are looking for be sure to get in touch today and we would be delighted to put together a personalised proposal for your once in a life time vacation! 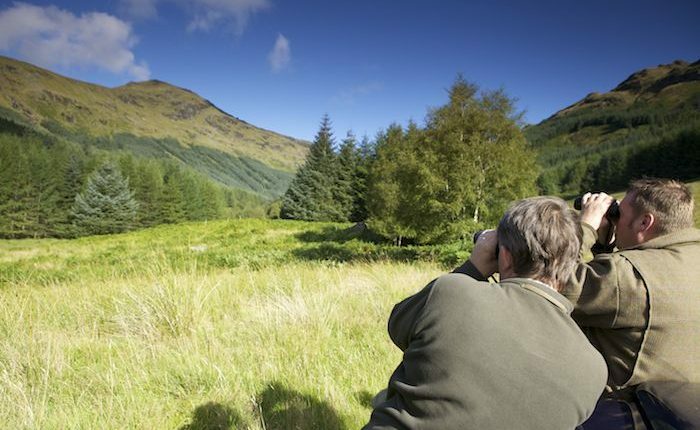 Outdoor activity holidays in Scotland What is the cost of fishing in Scotland?